Based on 333 customer ratings. Everyone in Chicago knows Giordano’s, but you don’t have to travel all the way to Chicago to get the pizzas and dishes we’re famous for. Visit our Minooka dining room and have a drink from our full bar, or call us to place an order for pickup or delivery. Are you looking for more than pizza? Does superior flavor, an outstanding crust, the freshest toppings and super craftsmanship matter? Welcome to Giordano’s, home to the best Chicago-style pizza since 1974! Giordano’s is the only restaurant in the world to require 6 trained artisans to construct one pie, which we slow bake to a flaky perfection. Our old-world techniques and proud heritage make us more than the best pizza place in Chicago — we’re a cherished tradition that customers return for again and again. The Freshest Artisanal Pizza Since 1974 Giordano’s is proud to construct each pizza using techniques and ingredients we love. A small Wisconsin farm makes our mozzarella, which no other pizza place has. Our ingredients include the reddest, ripest and most flavorful tomatoes. Our toppings are fresh and delicious, we layer them with care between our world-famous crusts. 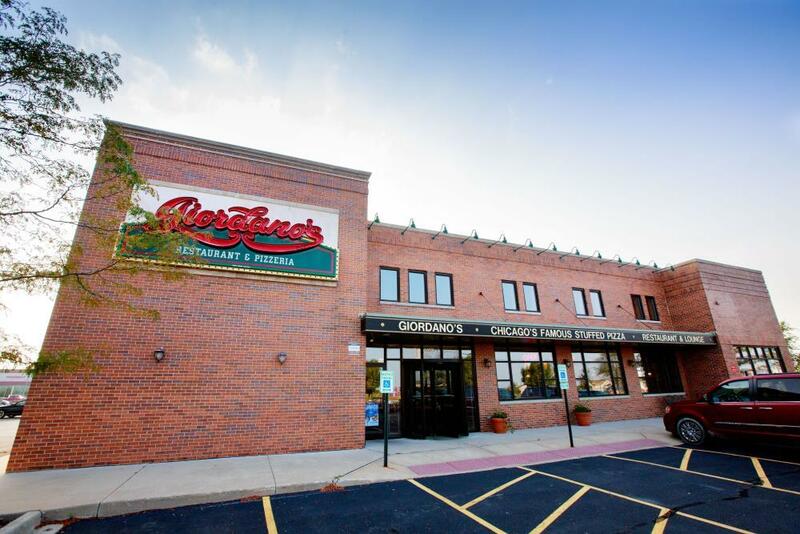 If you’re looking for the best pizza delivery and restaurant in Minooka, come to Giordano’s! Don’t forget to browse our menu for even more delicious offerings. We have pastas, salads, specialty sandwiches and salads. We also have several gluten-free choices as well!